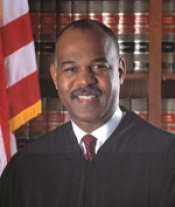 The first African American to sit on the United States Court of Appeals for the Fourth Circuit, Judge Roger Gregory, will speak at Vanderbilt University Law School on Tues., Jan. 18 at 2:30 p.m. in Flynn Auditorium. Gregory’s talk titled “Until Justice Rolls Down Like Waters,” is in honor of Martin Luther King, Jr. Day and is free and open to the public. Gregory was nominated to the United States Court of Appeals by President Bill Clinton on June 30, 2000. After Gregory did not receive a hearing before the U.S. Senate, President Clinton appointed him to the court by recess appointment on Dec. 27, 2000. Gregory was re-nominated by President George W. Bush and confirmed by the Senate for a lifetime appointment. Gregory is the only person in U.S. history to be appointed to the U.S. Court of Appeals by two presidents of different political parties.